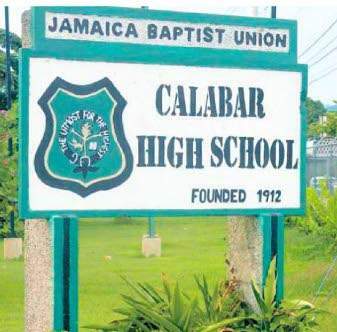 Once again, Calabar high school is in the media for the wrong reason. When the brave teacher came forward to talk about the undiscipline culture that is rampant in the school, the school board took side with the students. They did so because they thought they would win Champs with the help of the two star students. The plan backfired and they ended up losing Champs and their reputation. Just a couple days ago we called for resignation of the Acting Principal at Calabar. Some people claimed we were too extreme and it was only a one off. What will those people say now? these boys did this in front of teachers. It is clear they do not respect their so called leaders and can you blame them? the culture at Calabar High Shool was nurtured by the people who run the school. They are the ones who prioritised Champs over everything else, inclusing academics. Calabar is the worst performing so called “Traditional High School”. Less than 50% of Calabar students passed more than 5 CSEC subjects last year. Let that sink in for a second! The past students of “Rabalac” should also hang their heads in shame. They stood on the fence and watch the school disintegrate into a garrison. They turned a blind eye because they were winning Champs. They turned a blind eye because their temporary joy from winning Champs was worth watching these young men throw away their future. With such poor academics results, these young men face an even harder battle in Jamaica. A lot of their star track students can barely pass five subjects to sixth form. Christoper Taylor has been at Calabar so long he has even become a legal adult. The reality is that Calabar is now a garrsion. The teachers cannot control them, the students are in charge over there. Some students are dons and are untouchable. 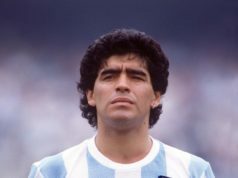 These issues are not new, but people ignored it because they were winning Champs year after year. Now that they have lost, people’s eyes are open. The responsibility falls on the board of the school and the Acting Principal. They are clearly not up the job and should be removed from the school. Winning Champs has been their only claim to fame. A lot of newer, less supported schools have now surpassed Calabar academically. If this school is to return to its respected days, the current people who run the school must step down and step aside.